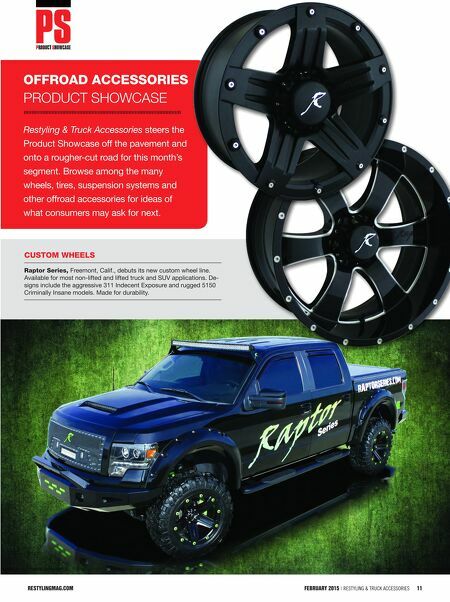 restylingmag.com FEBRUARY 2015 | Restyling & tRuck AccessoRies 11 Restyling & Truck Accessories steers the Product Showcase off the pavement and onto a rougher-cut road for this month's segment. 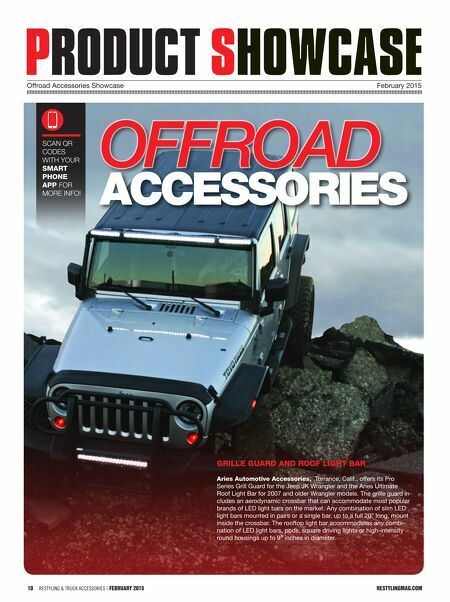 Browse among the many wheels, tires, suspension systems and other offroad accessories for ideas of what consumers may ask for next. offroad accessories PRODUCT SHOWCASE custom Wheels raptor series, Freemont, Calif., debuts its new custom wheel line. Available for most non-lifted and lifted truck and SUV applications. De- signs include the aggressive 311 Indecent Exposure and rugged 5150 Criminally Insane models. Made for durability.